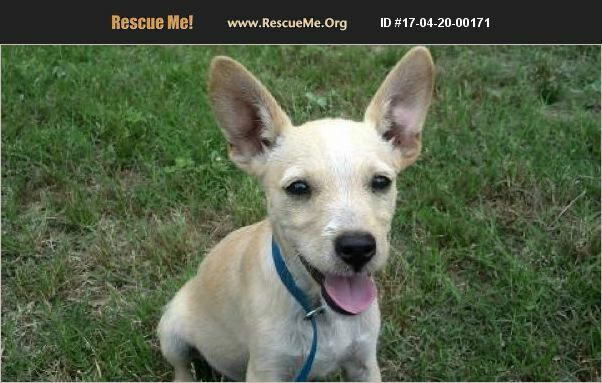 Texas Jack Russell Rescue View other Jack Russells for adoption. Posted 4/20/17, and pictures taken on 4/17/17. Dax was found at a business on 4/14/17 with a lot of fleas. No owner has come forward, so he is up for adoption. He is very sweet and playful, rides extremely well in a vehicle, and appears to have been house trained with puppy pads. Although he rides well in a vehicle, he does not have the personality to go places. I have been working on house training him by going outside, and he seems to have learned that now especially with help from our other dogs. He loves playing outside with our big dogs, so he must have a home with other dogs and a fenced yard. He is a little skittish when meeting new people at first, and then he is fine. He did bark for a short time when left inside, and I would go outside, but he has stopped that now. Now he only barks when people come to our property, and sometimes at new dogs. He is still chewing on things, and likes to take off with shoes if left inside too long during the day unsupervised. He will roll over to get belly rubs, likes to come up to me licking my hands to get pet, and sometimes tries to crawl on my lap. He is ok on a leash, but needs more work on that, and will follow me wherever I walk. His breed appears to be Jack Russell Terrier mixed with Chihuahua. Dax is estimated to have been born around January 13, 2017, and weighed 7.6 on 4/14/17; 12.4 on 5/14/17; and 20.8 on 11/18/17.